Kids | Blog Abandoned, it weeps. Are kids just kids? 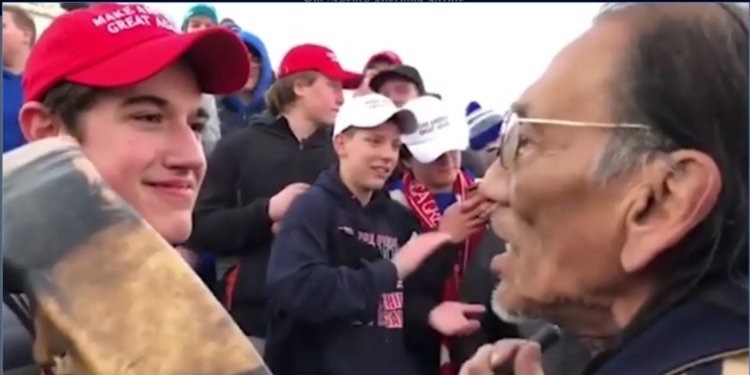 Or does their political tendencies allow some to be kids who need protected and others reviled? 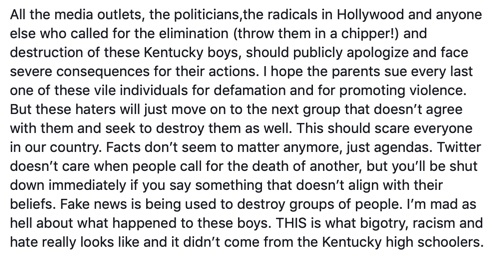 So someone on FB was completely outraged at the mistreatment of the Covington KY boys. OUTRAGED! 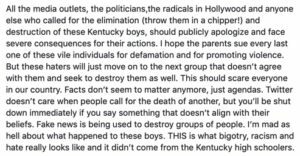 They posted a rant about how their parents should sue everyone who threatened them. Yikes! Oh, inserted and copied without permission. I get kind of mad when adults threaten kids too. I’ve always said, kids are off limits. Unless they are adults and take on official government responsibility then all bets are off. But are all kids, kids? Or just a certain few? Are these kids different, should have more protection, and get this level of outrage from consequences of actions than say, kids who survived a mass shooting, lost friends, got death treats and were called “crisis actors” while trying to maybe make a difference in something they believed in? 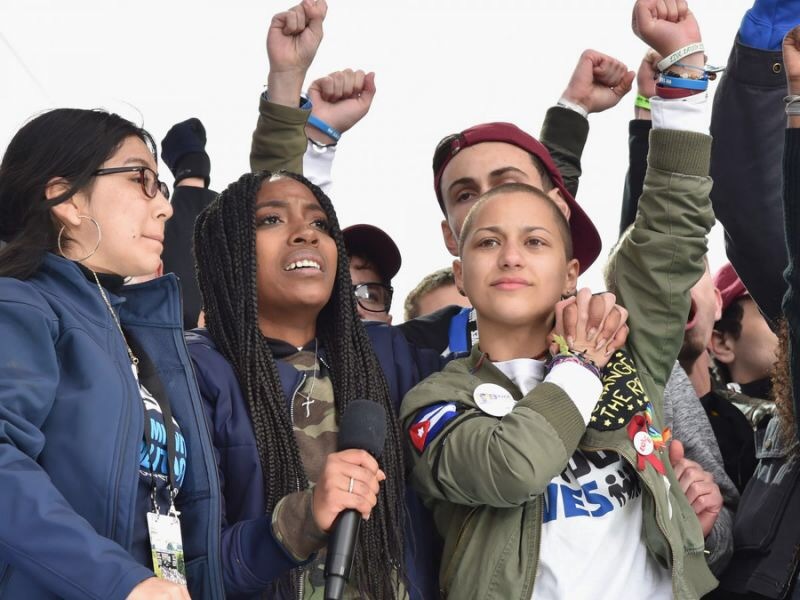 They were/are all kids, right? Not a certain kind of kid, just kids. Right? They ALL, right, left, middle, center, need to be listened to and heard. I’m still waiting to hear the difference. If only we could monetize hypocrisy. We could pay back all the federal workers who didn’t get paid during the shutdown and probably pay for their kids to go to college. This entry was posted on Tuesday, January 29th, 2019 at 9:04 pmand is filed under . You can follow any responses to this entry through the RSS 2.0 feed. You can leave a response, or trackback from your own site.